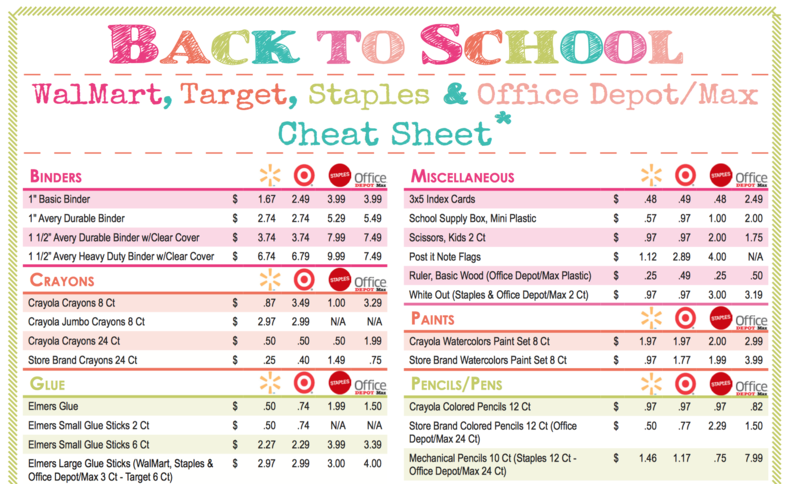 Are you gearing up for back to school shopping and wondering what is a good deal to pay on all your school supplies? 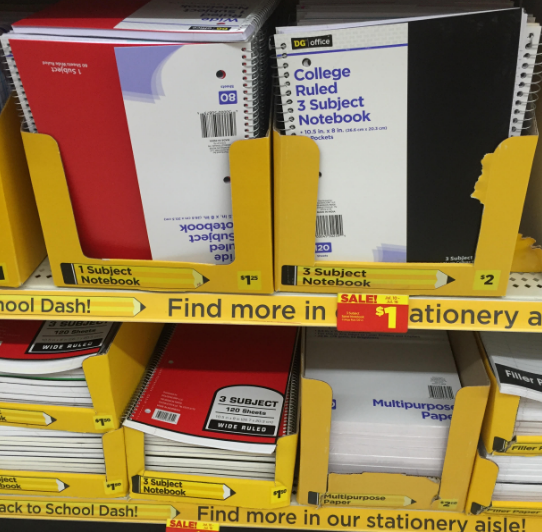 Check out this comprehensive 2016 Back to School Stock Up Price Cheat Sheet. (It has now been updated with Staples and Office Depot & Office Max!). 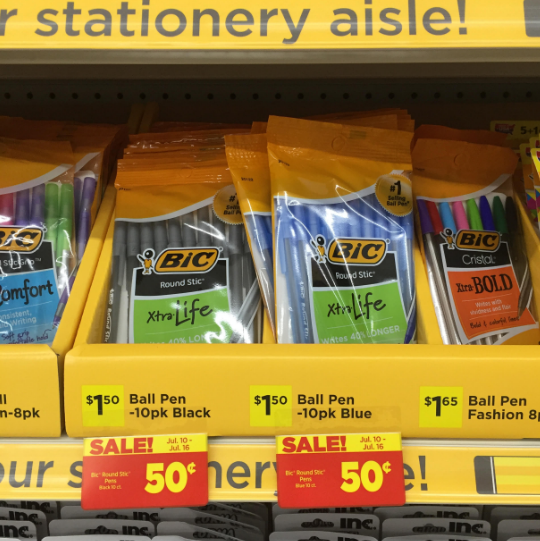 They had 10-packs of BIC pens for $0.50. 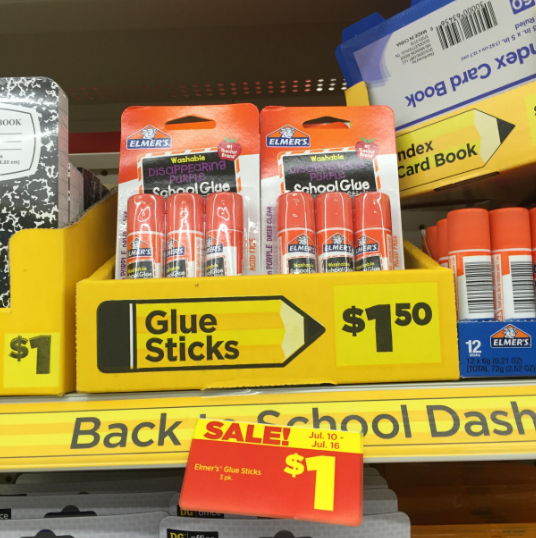 They had 3-packs of Elmer’s glue sticks for $1. 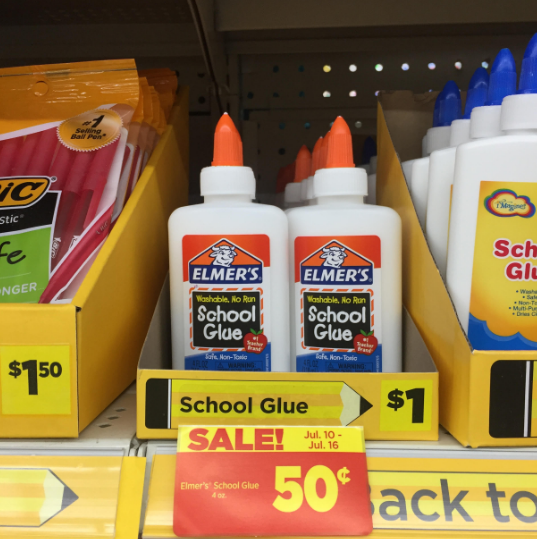 They had Elmer’s school glue for $0.50. 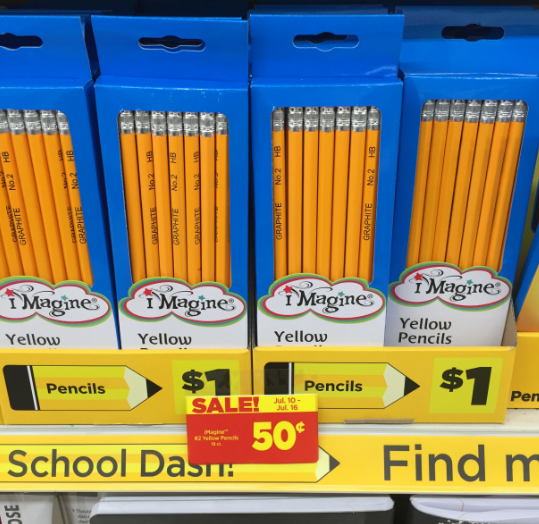 They had boxes of pencils for $0.50. 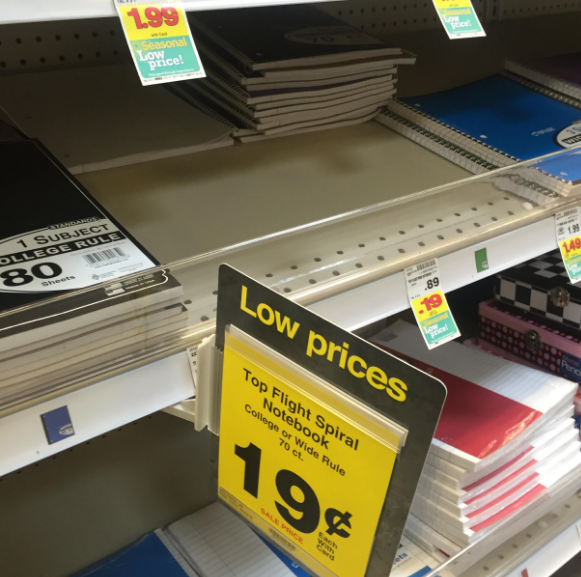 They had 3-subject 120-page notebooks for $1. 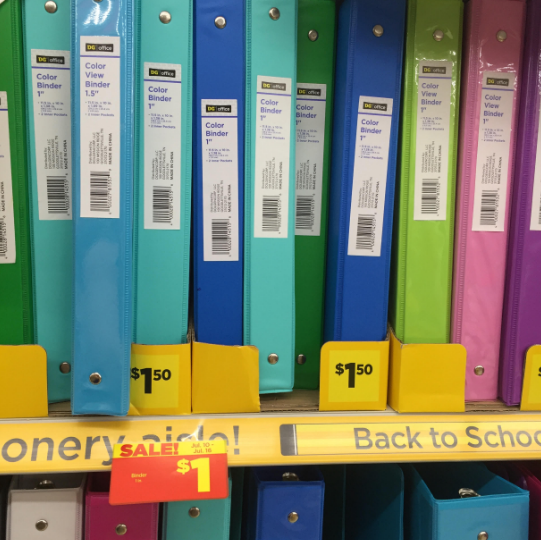 And they had 1.5″ binders for just $1. 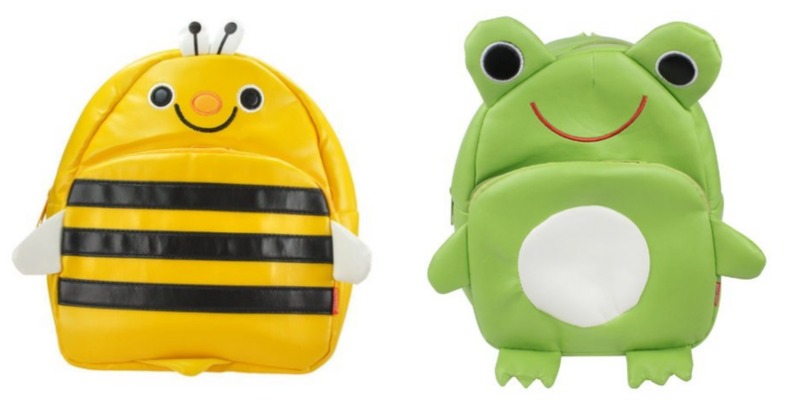 Little Kids’ Backpacks for less than $7 shipped! Amazon has Little Kids’ backpacks in a variety of styles for just $6.20 to $6.60 with free shipping. Shipping is free if you’re a Prime member or with any qualified $49 purchase. Get a 12-pack of Sharpies for just $4.99!!! Here’s a HOT deal on Sharpies! 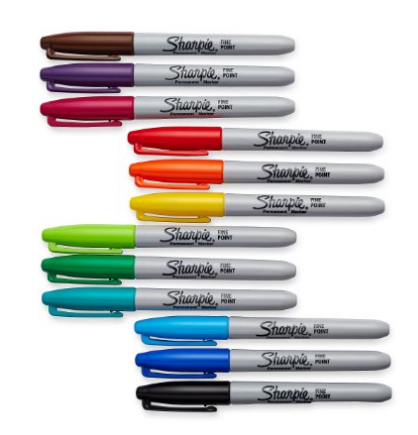 Get a 12-pack of Sanford Sharpie Permanent Markers for just $4.99! Shipping is free on any qualified order of $25 if you’re a Prime member or with any qualified $49 purchase. I ran into Kroger last night to see if they had any Back to School Deals worth mentioning and I ended up hitting the mother lode of markdowns (I’ll share all the details of that in a separate post this afternoon, but you can also watch my video here to see me talk about all of the deals I got). 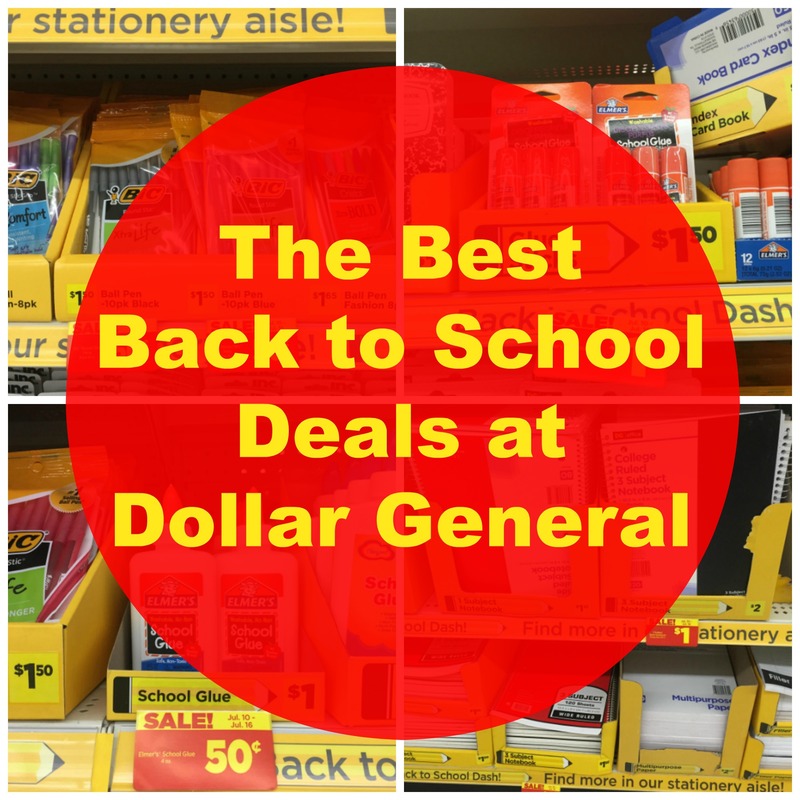 While I was there, I found some decent Back to School deals and wanted to share them here so you could be on the lookout for them at your Kroger store. 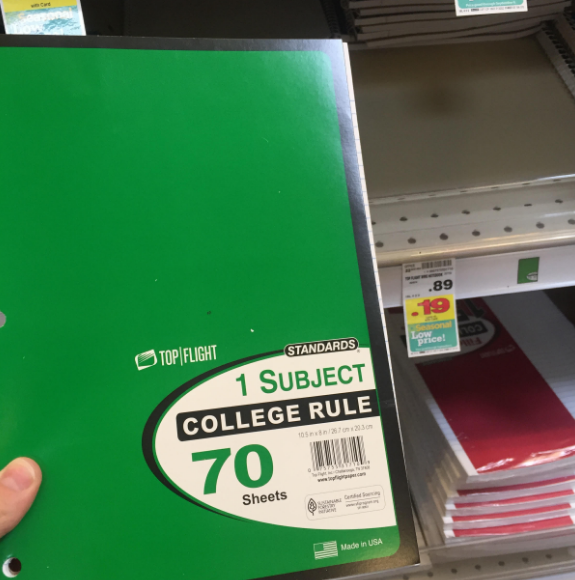 They had 1-subject 70-count Spiral Notebooks for $0.19. Walmart might have them for $0.10 and we might see them for a dime at some other stores during the Back to School sale season this year, but $0.19 is still a great price. I love to use these to write my daily lists on or for scratching out blog post ideas, mapping out live video outlines, and other brainstorming ideas. 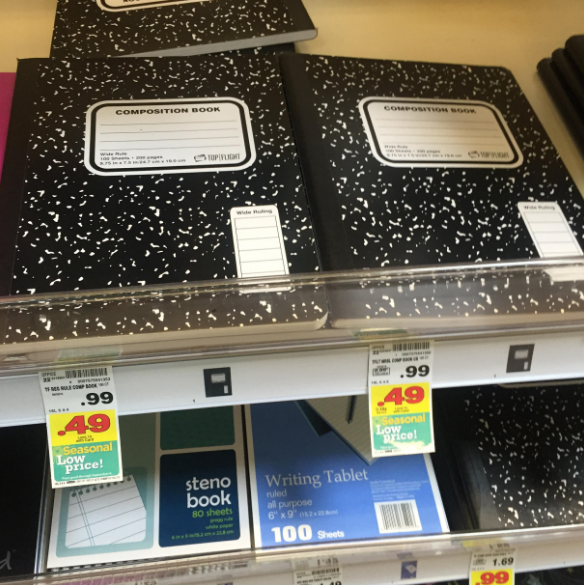 Composition Notebooks were $0.49. These are so great for kids. My kids love to use them as journals and I love to use them for my daily to-do lists, too. 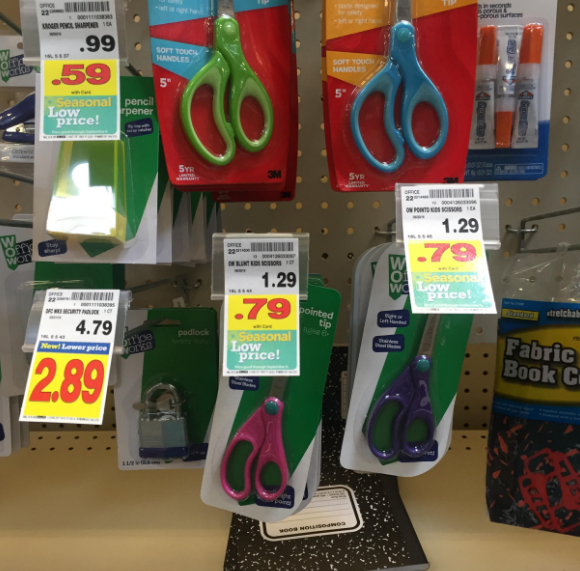 Scissors were $0.79 and pencil sharpeners were $0.59. They had Crayola crayons for $0.49. We’ll see this price at a lot of stores during the Back to School sale season. My target price for Crayola crayons is $0.25 per box. 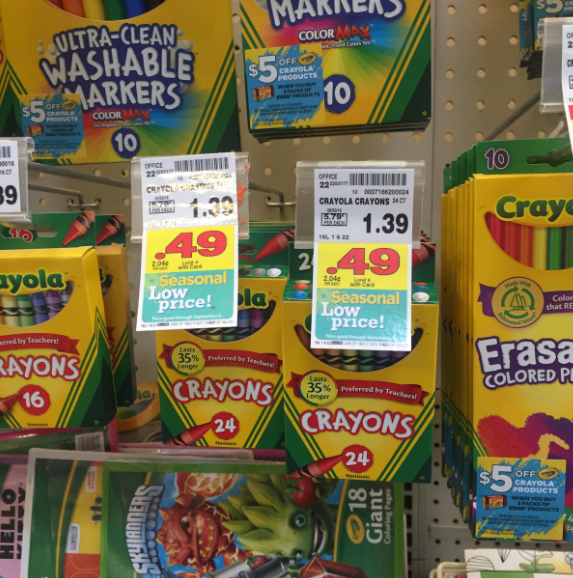 Office Depot/Office Max has Crayola crayons for $0.25 per box this week — though your store may already be out of stock. 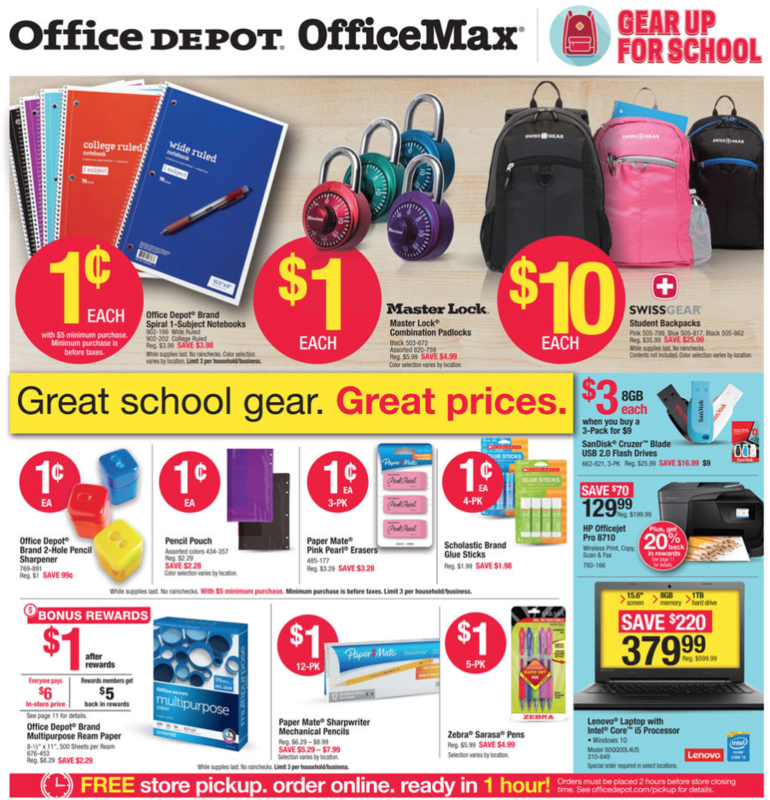 Have you found any great Back to School Deals this week? Tell us in the comments!